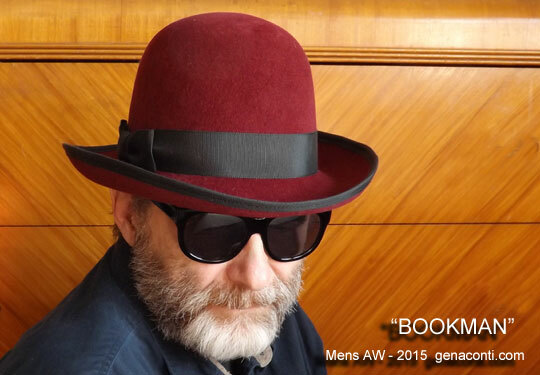 Gena Conti's Men's hats are hand blocked and hand sewn. They are made to order, one at a time, with the same attention to detail shown our custom salon orders. Our Men's Ready-to-Wear hats are typically made with suede finish, fur felt. You may, however, order most of these styles in both velour and beaver felt. Give our CUSTOM SALON a CALL 734-284-3417! To find out all the details, take a CLOSER LOOK by clicking on the hat pictures above.